Research efforts in the Brantley group focus on addressing chemical problems at the interface of materials science and synthetic methodology. Specifically, we envision new strategies for transforming reactive species into materials or chemical scaffolds that are challenging synthetic targets. We are particularly interested in accessing functional polymers that exhibit tunable structures and physical properties. The development of novel organometallic species, and investigating their applications in both synthesis and materials science, is another exciting area of focus. Our program integrates elements of physical organic chemistry, polymer science, synthesis, and organometallic chemistry to address both fundamental and applied problems. As such, the group’s interdisciplinary approach to discovery provides burgeoning scientists at all stages of career development with an invaluable skill set. John began his academic career at Western Kentucky University, where he completed a B.S. degree in 2010. He then joined the laboratory of Professor Christopher Bielawski at the University of Texas at Austin. During his graduate career, John developed new tools to understand how chemical transformations within polymeric matrices are facilitated by the action of mechanical force. Following the completion of his Ph.D. in 2014, John began his postdoctoral studies under the guidance of Professor Dean Toste at the University of California, Berkeley. During his tenure at Berkeley, John explored the synthesis and reactivity of trifluoromethyl iodonium salts. 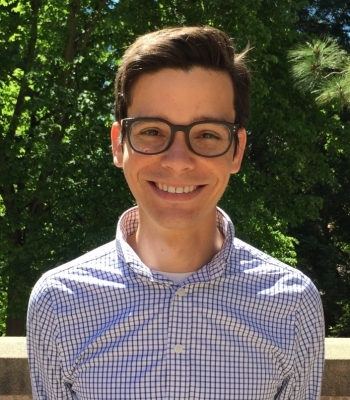 He joined the faculty at the University of Tennessee as an Assistant Professor in 2017. Brantley, J. N.; Samant, A. V.; Toste, F. D. Isolation and Reactivity of Trifluoromethyl Iodonium Salts. ACS Cent. Sci. 2016, 2, 341-350. Brantley, J. N.; Bailey, C. B.; Cannon, J. R.; Clark, K. A.; Vanden Bout, D. A.; Brodbelt, J. S.; Keatinge-Clay, A. T.; Bielawski, C. W. Mechanically Modulating the Photophysical Properties of Fluorescent Protein Biocomposites for Ratio- and Intensiometric Sensors. Angew. Chem. Int. Ed. 2014, 53, 5088. Konda, S. S. M.; Brantley, J. N.; Bielawski, C. W.; Makarov, D. E. Molecular Catch Bonds and the anti-Hammond Effect in Polymer Mechanochemistry. J. Am. Chem. Soc. 2013, 135, 12722. Brantley, J. N.; Konda, S. S. M.; Makarov, D. E.; Bielawski, C. W. Regiochemical Effects on Molecular Stability: A Mechanochemical Evaluation of 1,4- and 1,5-Disubstituted Triazoles. J. Am. Chem. Soc. 2012, 134, 9882. Konda, S. S.; Brantley, J. N.; Bielawski, C. W.; Makarov, D. E. Chemical Reactions Modulated by Mechanical Stress: Extended Bell Theory. J. Chem. Phys. 2011, 135, 164103.